Graduated from Ho Chi Minh City Fine Arts University in 1983 . Member of Vietnam Fine Arts Association . 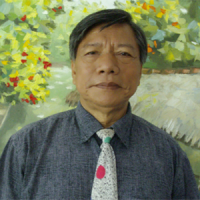 Born in 1952, Hanh Thien commune, Xuan Truong Dist, Nam Dinh Province . 1990: Nation Fine Arts exhibition . 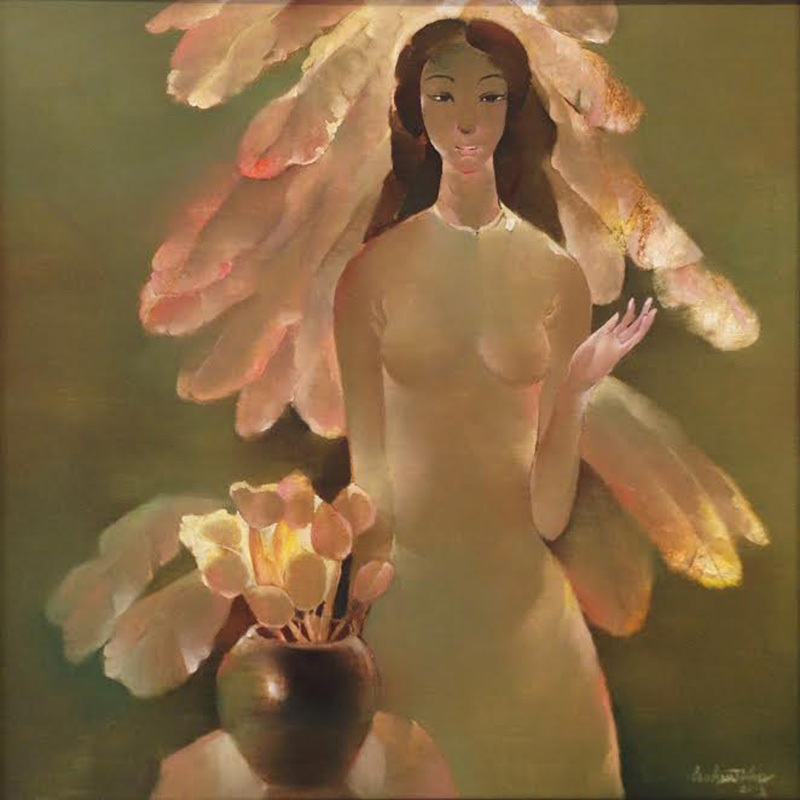 1993: Co-exhibited with lacquer artist Xuan Viet . 1990-1995-2000: Nation Fine Arts exhibition . 1999: Gained the prize of Viet Nam Fine Arts Association – Section VI . 2000: Gained the 3rd prize of Viet Nam Fine Arts Association – Section VI . 2000: Gained the Encouraging prize of Nation Fine Arts exhibition (1995-2000) . 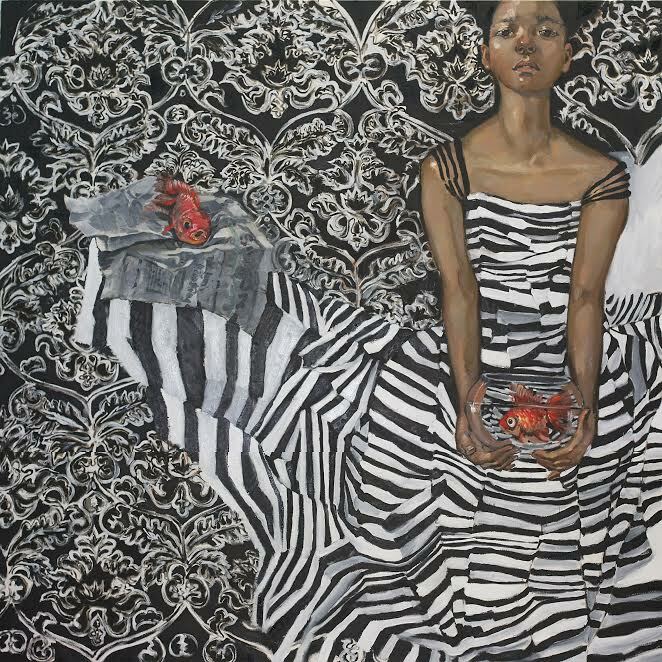 2011: Gained the prize of Viet Nam Fine Art Association – Section VI . 2012: Gained the 2nd prize of Viet Nam Fine Art Asociation – Section VI . 2007: Awarded medal for the career of the Viet Nam Fine Arts . 12/2007: Group Exhibition 4 artists at the Ho Chi Minh City Fine Arts Museum . 2009: Exhibition of group of Southern Colors in Ha Noi & HCM City Fine Arts museum . 2009: Exhibition of group of Southern Colors at Tu Do Gallery, HCM City . 6/2010: Exhibition of group of Southern Colors VII at Phuong Mai Gallery , HCM City . 11/2011: Group Exhibition 12 artists at the Ho Chi Minh City Fine Art Museum . Fine Arts Museum of Ho Chi Minh City . A lot of art-works have been collected in domestic and overseas ( USA, France, Germany, Netherlands, England, Japan, Korea, Sweden, Denmark, Canada, Singapore, Taiwan, Hong Kong, Italia …).